This image perfectly illustrates everything that I love about sunset light in the late fall. 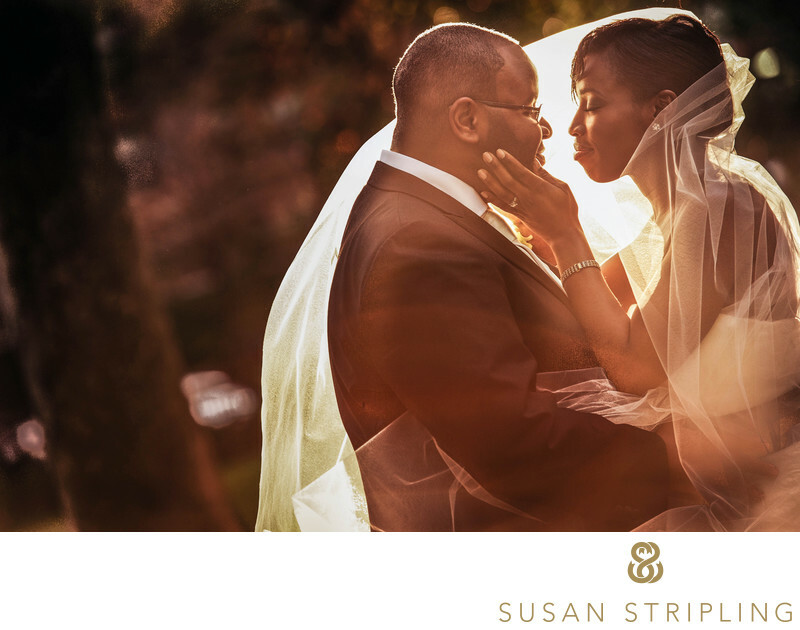 And everything that I love about photographing autumn weddings in Philadelphia! Philadelphia is always so beautiful, but in the fall? Magical.This photograph was taken in Philadelphia’s iconic Rittenhouse Square Park just as the autumn sun was dipping behind the buildings. If I had to choose one time of day to be outside photographing a couple this would be it! I love how the shadows grow long, the beautiful setting sun halos my subjects with a beautiful warmth, and how you can feel winter coming on the horizon. This time of day, however, depends very much on the time of year. Sunset in the winter in Philadelphia happens at a much different time and with a different light quality then sunset in the summer! 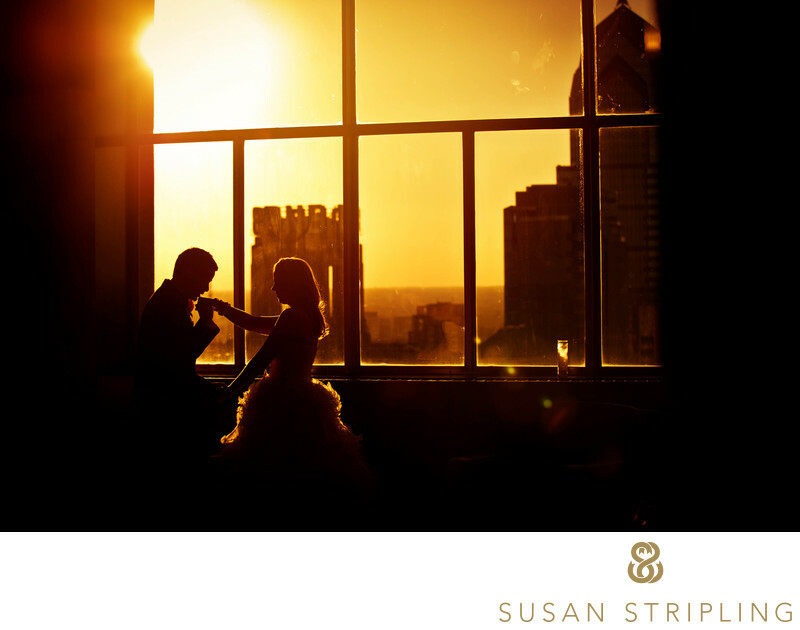 At this particular wedding, we only had a brief period of time in between the bride and groom’s wedding ceremony at The Westin Hotel in Philadelphia and their wedding reception. Thanks to the dedicated team at The Wedding Factor we were able to make a lightning fast round-trip over to Rittenhouse Square for some sunset portraits. The beautiful sunset light streaming through the bride’s veil and the extraordinary joy on the faces of both bride and groom combined to make my favorite type of photograph - a beautiful portrait with genuine emotion. So many of my clients complain that they are "terrible in front of the camera" and I can assure you that that is never the case! The emotion between the bride and groom is real, their interaction is natural, and all I did was set the scene for the moments to unfold. Chasing sunset...one of my favorite things.If you're getting married in Philly and want to make sure that you get sunset portraits on your wedding day, let's talk! 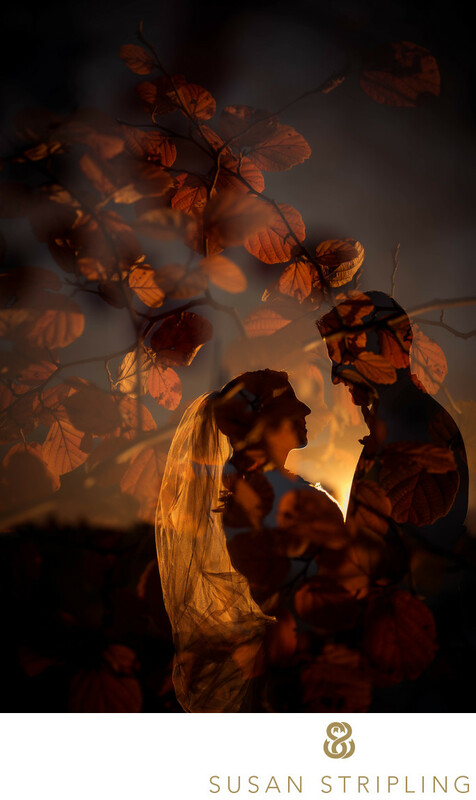 We'll work to determine your sunset time, and then choose the location you want to take your wedding day portraits at. From there, we'll look at timing again to make sure the "sunset" will happen at the right time - remember, the sun often dips behind the buildings and disappears before it truly "sets", so your portrait location will help determine the best time of day for these portraits to take place! Sound confusing? I promise it's not! 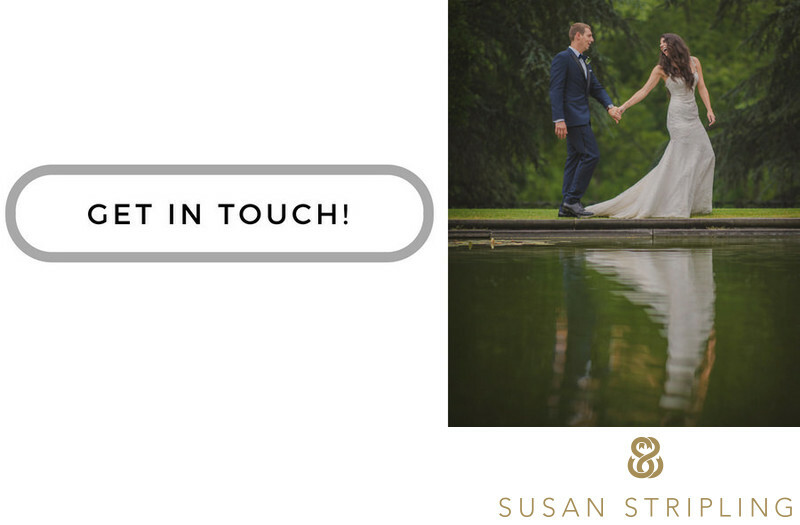 Just click below and get in touch, and I'd be glad to help you figure out the best timing for your wedding day photography! Keywords: philadelphia (435), Rittenhouse Square (3), The Westin Philadelphia (3). 1/320; f/4.0; ISO 720; 175.0 mm.